It was announced in April 2014 that the Office for Low Emission Vehicles (OLEV) would make at least £20m available for an ultra low emission Taxi Scheme, as part of the £500m package to grow the market for ultra low emission vehicles (ULEVs) from 2015-20. The scheme is open to local authorities, and available UK wide. Funding will be provided for the required infrastructure, which it is hoped could be used by both taxis and private hire vehicles. Local authorities are also being invited to bid for funding to help offset additional costs of purpose-built ULEV taxis. Feedback is being sought from local authorities, taxi and private hire companies on the preliminary guidance documents for the scheme (view the full document here). 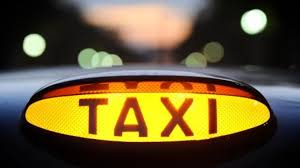 OLEV is now inviting expressions of interest for attending Taxi Scheme workshops, to be sent to olev.enquiries@Olev.gsi.gov.uk by 17th December. Places in the workshop will be allocated on a first come, first served basis and may be limited to one per organisation. For more information, visit the main OLEV website here.